It’s often the opposite outcome in sensational trials soaked in saturation TV coverage. Defendants O.J. Simpson, Robert Blake, Casey Anthony, Michael Jackson, George Zimmerman and the four Los Angeles police officers who beat Rodney King on videotape are among those who have been controversially acquitted of their alleged crimes. Not so Pamela Smart, who went on trial 23 years ago for the first degree murder of her husband, Gregg, to whom she had been married for just under a year. 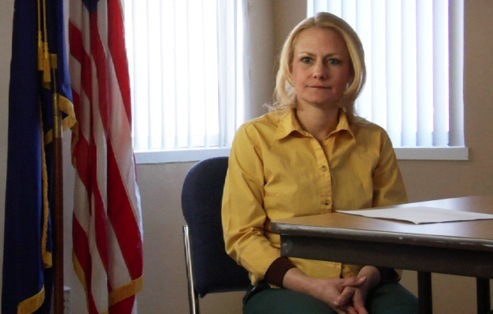 The HBO documentary Captivated: The Trials of Pamela Smart (premiering Monday, Aug. 18th at 8 p.m. central) finds the roots of “reality TV” embedded in a guilty verdict that sent the defendant to prison for life with no possibility of parole. Smart, now 46, still maintains her innocence and in large part blames the media for her conviction. The entire Smart trial, which also spotlighted her four wrong-side-of-the-tracks male teenage accomplices, was televised live daily on New Hampshire’s WMUR-TV. It marked the first time that cameras were allowed in the courtroom from gavel to gavel. Filmmakers Jeremiah Zagar and Lori Cheatle view this as an electronic age equivalent of Adam biting the apple before all hell broke loose. The Smart trial riveted the entire town of Derry, NH while various reporters, law enforcement officials, lawyers and witnesses came to relish their supporting roles. One of the one hour, 40 minute documentary’s money quotes is from reality show producer Ted Haimes, whose recent credits include Starving Secrets with Tracey Gold, Aftermath with William Shatner, The Locator and Adoption Diaries. Young gun WMUR reporter Bill Spencer, who then and now is not shy about his prominent role in fleshing out the Smart story, became a telegenic go-to guy on daytime talk shows hosted by Phil Donahue, Geraldo Rivera, Sally Jessy Raphael and others. Spencer also anchored the WMUR special Anatomy of a Murder, which aired shortly before jury selection began in the Smart trial. It pretty much fingered her and of course drew big ratings. “We publicized the heck out of it,” Spencer recalls. Smart’s appeals lawyer, J. Albert Johnson, says the program made it virtually impossible to select an unbiased jury. “You can’t un-ring the bell” he argues. Derry police Sgt. Dan Pelletier, who arrested Smart, says that Captivated is, by his count, the seventh TV program he’s done in connection with the case. He’s still conscious of what amounts to his TV acting, asking the filmmakers to “let me go back and find a little more emotion.” On his second take, Pelletier is more animated in again reciting what he told Smart on that day. He had some good news and some bad news for her. They’d solved the murder and she was under arrest. Captivated also includes a new interview with Smart; audio tapes secretly recorded by “Juror #13” (who was skeptical about the guilty verdict); and the first interview with fellow defendant Raymond Fowler after his parole period ended in 2013. He believes the jury reached the right verdict while others say he has come to believe the evil depiction of Smart in a 1991 TV movie, Murder in New Hampshire: The Pamela Wojas Smart Story. Helen Hunt played the title role while Spencer played himself. The Smart trial also co-starred a beautiful young boy, 15-year-old Billy Flynn, who testified in court to being the trigger man after having an affair with Smart that she’s never denied. Archival footage from the 1991 coverage of the trial has one avid viewer comparing Flynn to Paul McCartney. He’s still in jail but eligible for parole in 2015. Captivated doesn’t come right out and say that Smart got railroaded by a runaway media train. But it clearly doesn’t mind implanting this idea with a new generation of viewers. The basic purpose of the film is to prove its thesis that “a black hole of media attention,” as appeals lawyer Johnson puts it, did far more harm than good to both Smart and the legal process. Some of the visuals can be a little much. A worn, heavily scratched tape recorder, shot in closeup and occasionally revolving full circle, is used in tandem with the frequent audio from Juror #13. Smart also feared birds and talked of having a nightmare about them during one of her taped conversations with wired police informant Cecelia Pierce, who came to very much crave the media spotlight. So Captivated begins and ends with flocks of birds, signifying not much of anything, really. This is nonetheless an absorbing and aggressive film that makes its points forcefully. Smart, who clings to hopes she’ll be free someday, is not immune to envisioning the media possibilities beyond that. “What a crazy movie it’ll be if I get out. Right?” she says near the end of Captivated. It recalls what Spencer says about her early in the film. He was interviewing Smart in her home when she told him she still had the top layer of her wedding cake in the freezer. Wouldn’t it be a great picture if she posed with it? “She’s attempting to produce the story that I’m working on!” Spencer exclaims all these years later. In reality he didn’t mind a bit.